One of our favourite eating joints is a Portugese restaurant called Nandos. 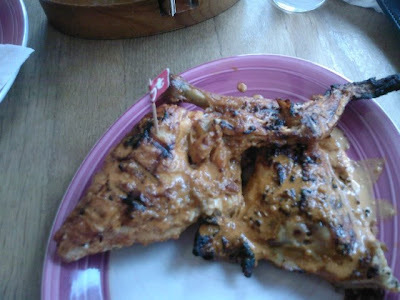 They are well known for their famous "flame grilled Peri Peri Chicken" . 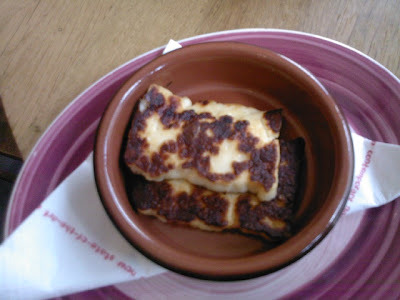 The first time we visited Nandos we were fascinated by their heat scale which ranged from "mild to extrahot". 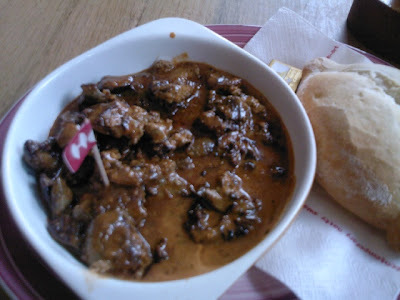 We were warned by friends not to go beyond "Hot" and decided to try their HOT peri peri chicken and chicken livers. We were blown away. 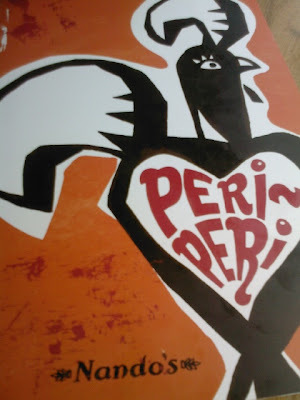 Their peri peri chicken was moist,full of flavour and fantastic, I am not much of a liver eater but their chicken livers- mouthwatering & delicious, definitely to die for!! and HOT they delivered.... we had runny eyes and noses. Im not surprised that their "Extra hot" is labelled-" Beware for Pyromaniacs only". This place is for keeps and has earned a place in our restaurant diary.